Well, this is seriously overdue. 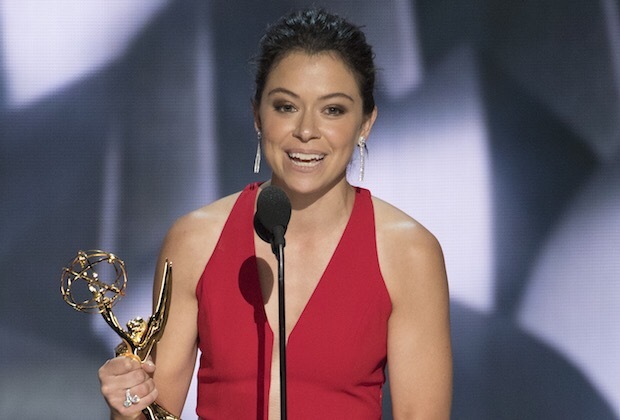 Congratulations to Tatiana Maslany for finally winning an Emmy for her astounding performances as a gazillion different characters on Orphan Black. Are you watching Orphan Black? You should be. Just a few of the Maslany characters.